Download all files below. Make sure you have an updated W-9 for your business office. Read the Directors' Checklist and the following information THOROUGHLY. Don't post questions on Facebook that you can find on the website! Take the time to READ. Directors are the ONLY person to register your troupe in Cvent. Fee: $150 per person attending festival. See the Cvent Registration Worksheets for full information. Discuss APPROPRIATE behavior and audience etiquette with your students. It is YOUR responsibility to ensure that your students behave themselves. Suggestion: make a Google Registration Form to save paper! Google forms import all info into a database so you can simply cut & paste delegates' information. To see an example, go here. Registration opens September 10th at 9am and will close at 7pm on October 19. 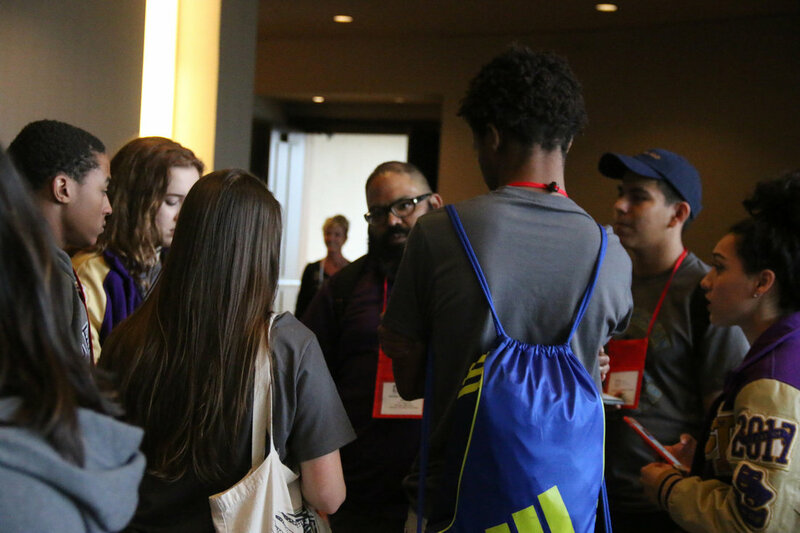 IMPORTANT:: Download and send the Texas Thespian W9 to your business office to make sure TEXAS THESPIANS receives payment for your registration. Make your check out to TEXAS THESPIANS. Postmark your envelope to Amy Jordan, Chapter Director by October 19, 2018; include check and a copy of your registration. Have a second meeting just before Festival to review Festival Rules, Code of Conduct & Social Media Policy and to collect Consent & Acceptance Forms. Impress upon your students that they need to exercise respectful, courteous behavior and that they will NOT hang out. Send Troupe Participation Agreement, along with Consent Forms to Vicki Kirkley. ​Suggestion- keep a pdf of each one and put in a Google Folder to reduce paper. Keep one copy of the Consent & Acceptance Form in your binder and have each student put one in their badges so that should an emergency arise, we can get them help. MAIL one copy of the Consent & Acceptance Forms and the Troupe Participation Agreement Form to Vicki Kirkley, Prosper High School, 301 Eagle Drive. Prosper, TX 75078 by October 26. Arrive at Gaylord Texan Resort & Convention Center no later than 8:00 AM on Thursday, November 15, 2018! Festival STARTS at 8AM! NO hanging out! Go to workshops and plays! Festival will end at 5 pm on Saturday, November 17, 2018.